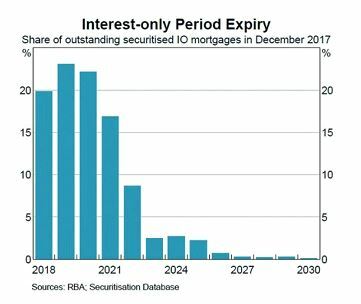 From 2018 to 2021, an estimated 200,000 interest-only (IO) loans1 totalling $480 billion2 are due to expire, and will be reset to principal and interest (P & I) loans. 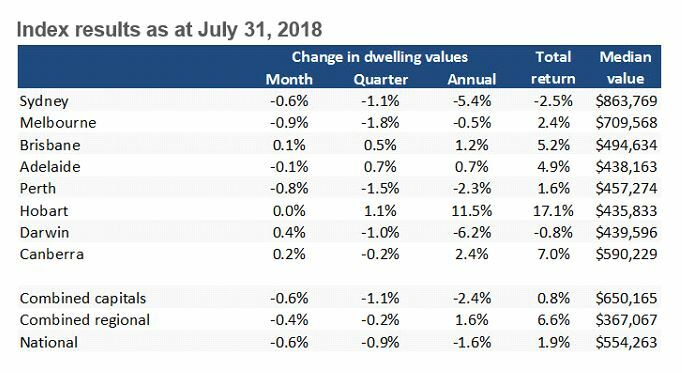 For the average investor or owner-occupier, that means a pretty significant hike in your repayment, or what the Reserve Bank of Australia (RBA)3 has called a “non-trivial” sum of about $7,000 per year. Once seen as somewhat of a magic bullet by Aussies, IO loans at their peak accounted for 40 per cent of all loans. With lower repayments, they allowed homeowners to finally get a foot in a tightly-held property market. For investors, it was a way to maximise tax deductions, enhance cashflow and build up their property portfolios. But this traditional way of investing just won’t fly anymore. 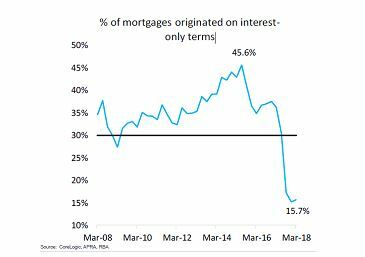 Lending standards have seen a significant amount of scrutiny by banks, which has impacted the approvals of new Interest Only applications (see chart5 below). 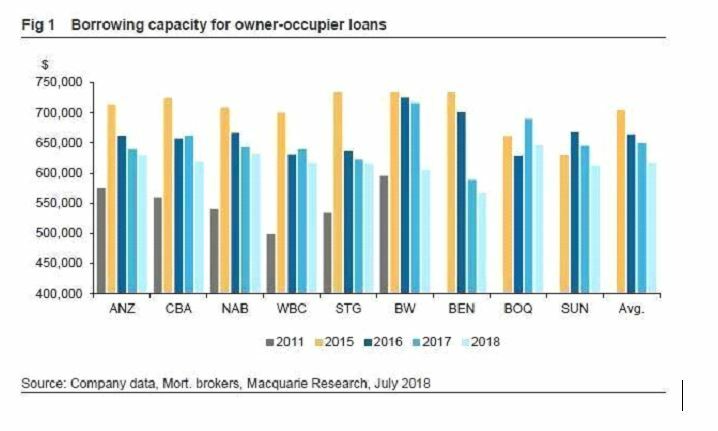 According to APRA statistics, the “big four” banks have reduced their share of new IO loans to 15.53 per cent, down from 38.43 per cent in March 2017.7 As seen in the charts8 below, effectively the banks have controlled the market with borrowing capacities dropping by close to 20 per cent in some lenders’ calculations. As a mortgage broker, I have seen first hand how tough lenders have become compared to more lenient standards between 2014–2016 with some borrowers not being able to extend or refinance their IO loans. But there are some borrowers that the RBA3 states may struggle because they have less than one month’s prepayments in their accounts. My concern is directed at home loan newbies and investors who could experience little or no capital growth. So given these factors affecting capital growth, and the fact you may soon be facing some financial headwinds, the question begs, what do you do? Well for starters, take a deep breath and remember it’s not the end of the world. I have referred to it as a ‘danger zone’ not a ‘catastrophic zone’ for a reason. Make peace with P & I: Do the sums and decide whether it’s best for you to switch to a P & I loan now or wait for the loan to reset. And while you may not like it, you need to find the extra cashflow. Could you pay off your car loan earlier? How about culling some of your luxuries? Get serious about revamping your budget and make yourself accountable to someone else so you stick with it (no matter how hard it hurts). Aaron Christie-David is the Co-Owner of mortgage broker Atelier Wealth, which has won many industry accolades including Newcomer of the Year–2017 at the Australian Broking Awards, and the Mortgage and Finance Association of Australia (MFAA) 2018 National Young Professional of the Year. With over eight years of financial services experience, Aaron has worked for Wizard Home Loans, and as the Marketing Manager for Mortgage Distribution at the Commonwealth Bank.